2. lay the closet down as the arrow shows. Bought these color box at Jusco, RM19.90 & RM17.90 each. Custom made photo frame, come with the glasses. RM25 each. 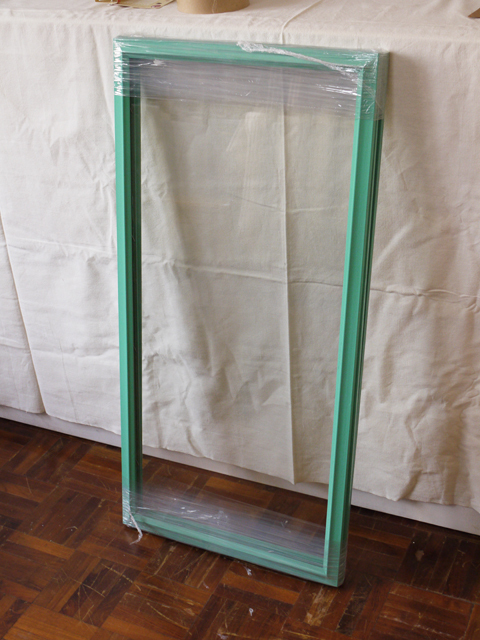 Was not much choice at the frame workshop, so I spray paint them. Magnet glue on the shelf and the frame. I use hot glue. Easy. and low cost. Everyone can do! Your collection is so cute! Really awesome idea! 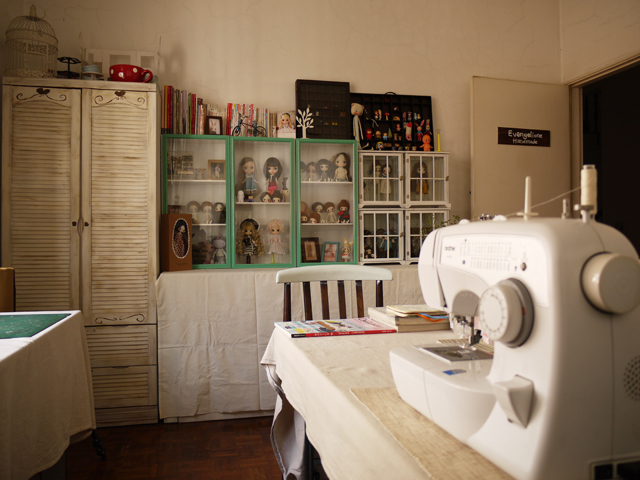 Im always looking for lovely affordable storage space for my little studio. 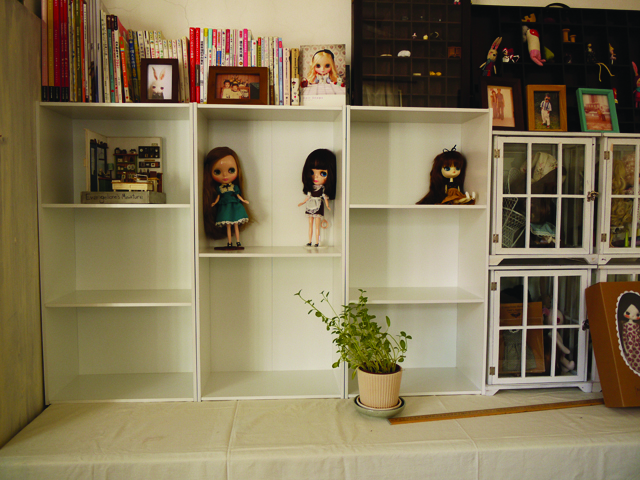 Thanks so much for sharing this display shelf project with us! Have a lovely merry happy sunday and love to you! Loved you work. 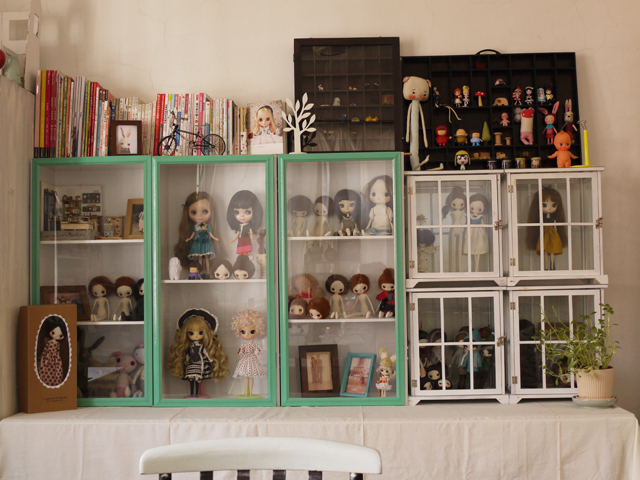 Amazing how beautiful your dolls are. Awesome workplace... love the color selection.